AURORA SKY is a hybrid Sky Guitar which bundles the powers of two completely different species of Sky Guitar into one! 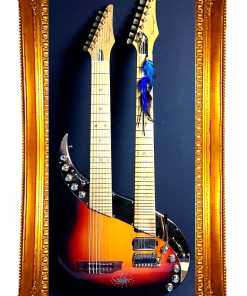 The idea is a variation of the prototype MIGHTY NEW DAWN which combined a nylon string guitar with a fully fledged electric Pegasus Sky. AURORA is set to combine a 12-string semi-acoustic guitar with a Pegasus Sky Guitar. 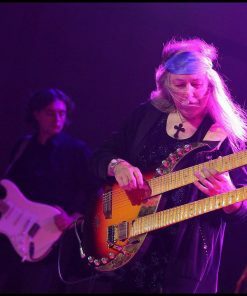 The lower neck belongs to a Unicorn type 12-string Sky Guitar with 12 strings and piezos. 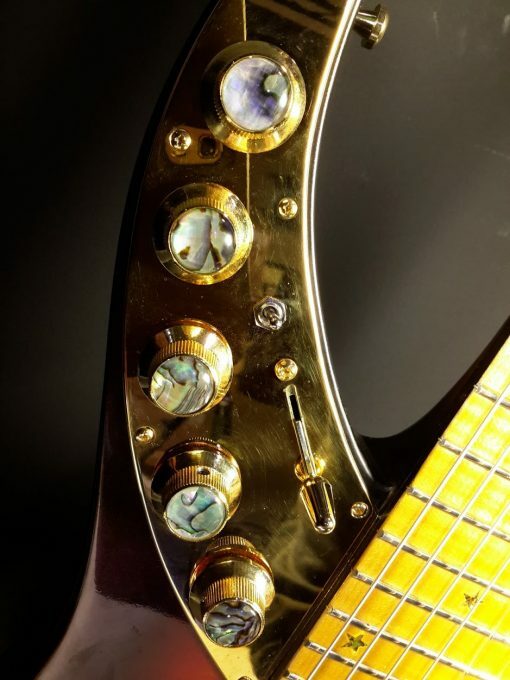 The upper neck is that of a Pegasus type electric Sky Guitar like the Lionheart. The body is mahogany and the 12-string upper half is hollow with a spruce top and Torres bracing. The lower electric half is solid mahogany, but has a maple top. The electronics are the same as in individual SGs. That means there is a Mega Wing III system installed for the electric Sky and a piezo based system for the semi-acoustic classical nylon Sky.